Children's picture book fiction, ages 4-6. "Little Gert loved eating dirt. The worms all idolized her." 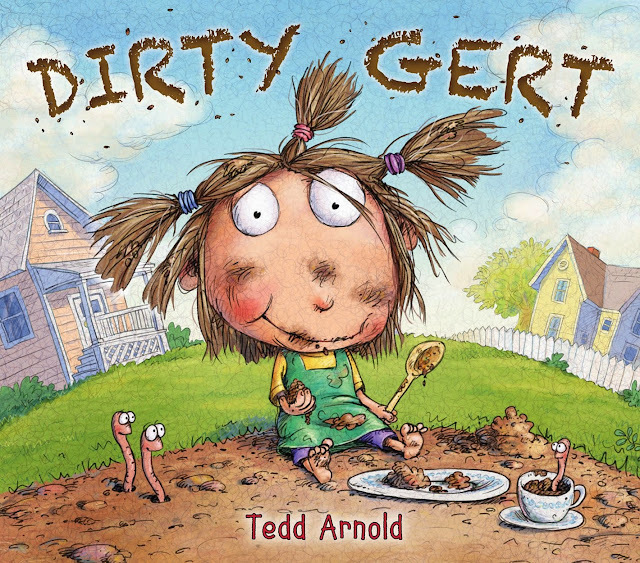 Tedd Arnold's picture book features a young girl named Gert who loves eating and playing in dirt. She loves dirt so much, in fact, she turns into a tree. Instead of trying to change her, Gert's parents decide to love and encourage their abnormal daughter--dirt, tree branch sprouts, and all. The story is funny while sharing an important message with children about the unconditional love found in family. It also encourages parents to accept and even encourage their children's creativity, quirkiness, and unique qualities that make them special. Tedd Arnold's illustrations and the well done rhyme scheme add to children's delight in reading about Gert's world and adventures.